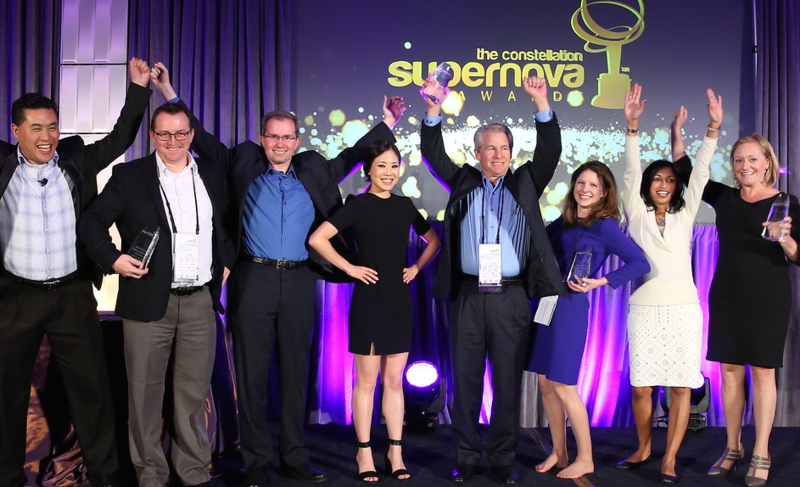 2015 SuperNova Awards | Constellation Research Inc. The Constellation SuperNova Awards are the first and only awards to celebrate the leaders and teams who have overcome the odds to successfully apply emerging and disruptive technologies for their organizations. Senior Director of e-Commerce Technology and Operations, Tumi Holdings, Inc.
What are the SuperNova Awards? The Constellation SuperNova Awards are the first and only awards to celebrate the leaders and teams who have overcome the odds to successfully apply emerging and disruptive technologies for their organizations. We at Constellation know advancing the adoption of disruptive technology is not easy. Disruptive technology adoption often faces resistance from supporters of the status quo, myopia, and financial constraint. We believe actors fighting these forces to champion disruptive technology within their organizations help, not only their organizations, but society as a whole to realize the potential of new and emerging technologies. This annual search for innovators includes an all star judging panel, substantial prizes, invite-only admission and speaking opportunities at Constellation's premier innovation summit - Connected Enterprise. Technology thought leaders, analysts, and journalists selected for their futurist mindset and ability to separate substance from hype carefully evaluate each SuperNova Award application against a rigorous set of criteria. Judges look for individuals and teams that battle the odds to bring disruptive technologies to their organizations. Judges look for applications that display leadership, overcoming obstacles to implement disruptive/emerging technologies, innovative use of adoption techniques, and replicability. Consumerization of IT & The New C-Suite - Balancing the speed of consumer tech with the compliance and integration requirements of enterprise tech. Data to Decisions - Using data to make informed business decisions. Digital Marketing Transformation - Personalized, data-driven digital marketing. Future of Work - The processes and technologies addressing the rapidly shifting work paradigm. Matrix Commerce - Commerce responds to changing realities from the supply chain to the storefront. Next Generation Customer Experience - Customers in the digital age demand seamless service throughout all lifecycle stages and across all channels. Technology Optimization & Innovation - Innovative methods to balance innovation and IT budgets. The application for the 2016 SuperNova Award opens in February 2016.